Our Simple Roadmap Templates use successful Roadmap design formats that are popular the world around. Download these Simple Roadmap Templates now. We’ve been developing a variety of Roadmap Templates for a few years now, and we would like to offer these ones for a reduced price! Features of our Simple Roadmap Templates. Our Simple Roadmap Templates are A4 Roadmap formats. For our larger and more elaborate roadmap templates, see the Roadmap Template Samples and Examples. Download The Simple Visio Roadmap Template here. A graphically rich professional board summary pack designed to convey vital information in a comprehensive yet concise manner. This Simple Product Roadmap Template makes three of our most popular modern format Powerpoint slides available for a discount price. This Stylish Powerpoint Template uses a modern Infographic design to give your Roadmap Presentation more impact. This impressive Visio Product Roadmap Template presents workstreams, activities, deliverables and a Dashboard. First used by our consultants in 2010. 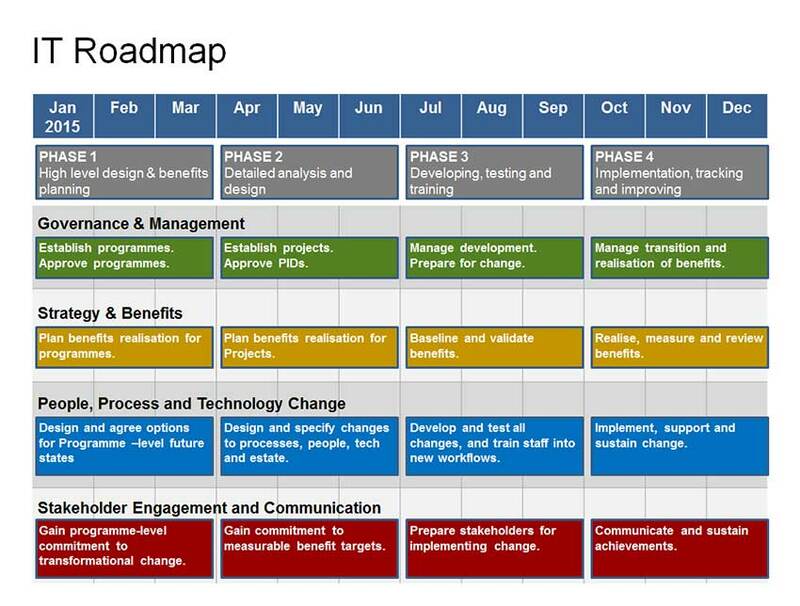 A 1-year strategic plan - your complete IT Roadmap Template in one Powerpoint pack:- Governance, Strategy, Change, and Stakeholder Engagement. See all of our Roadmap Templates. 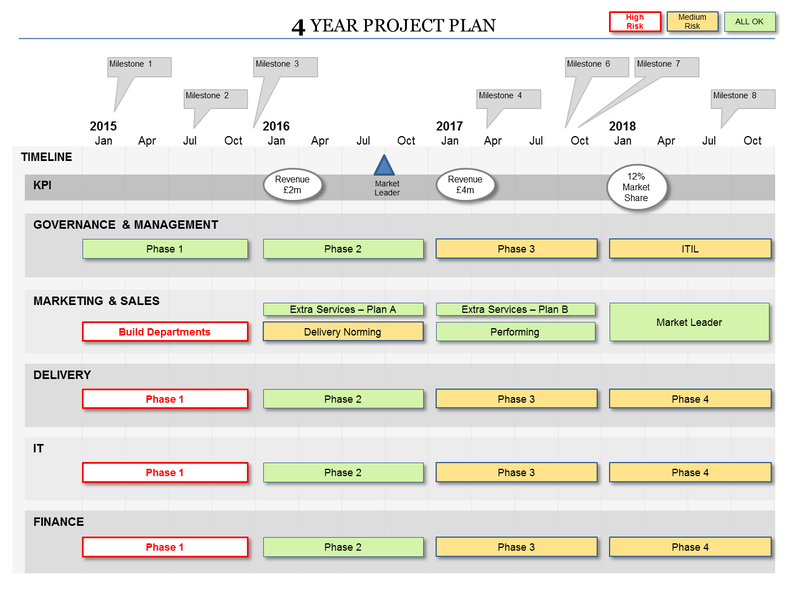 This entry was posted in Document Templates Roadmap and tagged Agile Lean Milestone PMO Product Product Roadmap Roadmap Roadmap Template - creation and formats Visio on August 26, 2012 by Jeff Armstrong.